The World Almanac For Kids 2013 is one of my favorite books. An almanac is a book that tells you all sorts of things, like who has the most of what, what happened when and where, and history of the United States. This is one of my favorite books because I learned a lot of things I didn't know before, like Massachusetts is named after the Greek word that means "large hilly place." 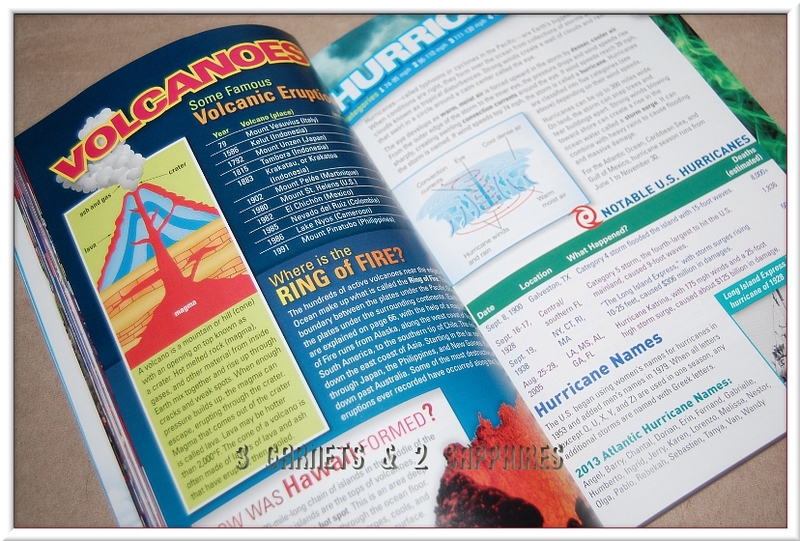 Some of the sections in the almanac are Population, American History, Travel, Sports, Space, Science, and more. My favorite section is the Disasters section because there are lots of different disasters and some of them I didn't know happened. 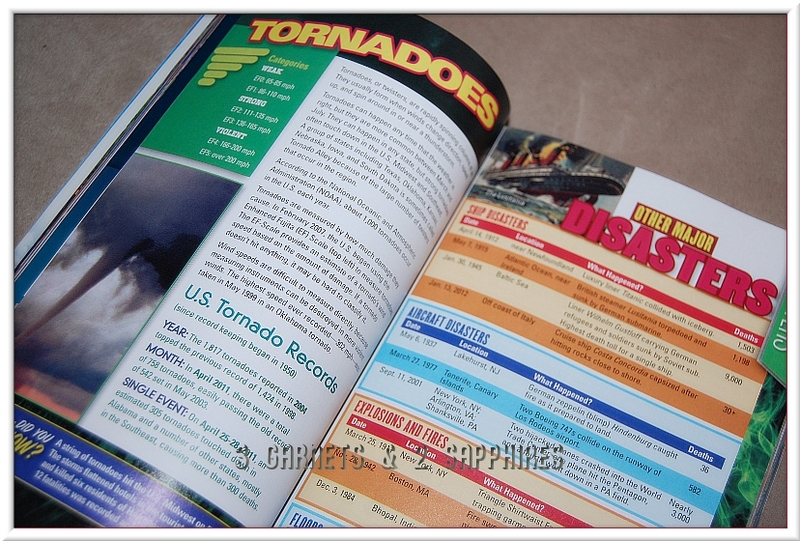 The picture below is one of my three favorite pages of the disaster section. This page lets me learn what disaster happened, when, and where. The earthquake that interested me the most was the one that happened in the Central Philippines this year. It was interesting because I didn't know there was an earthquake this year. My second favorite page is about volcanoes. This is one of my favorite pages because I'm really interested in volcanoes. The latest volcano eruption was in 1991 in the Philippines. The erupting volcano was Mount Pinatubo. My third favorite page is about tornadoes. I like the tornado page because a couple of years ago I went through one. It was not even close to anything like the three records in this book. There were 1,817 tornadoes found in the year 2004. The World Almanac for Kids would be good for ages 8 to adult. 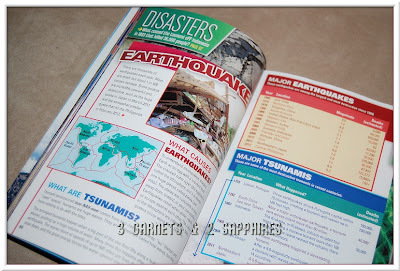 This book would be helpful to people who want to learn about disasters and many other things. 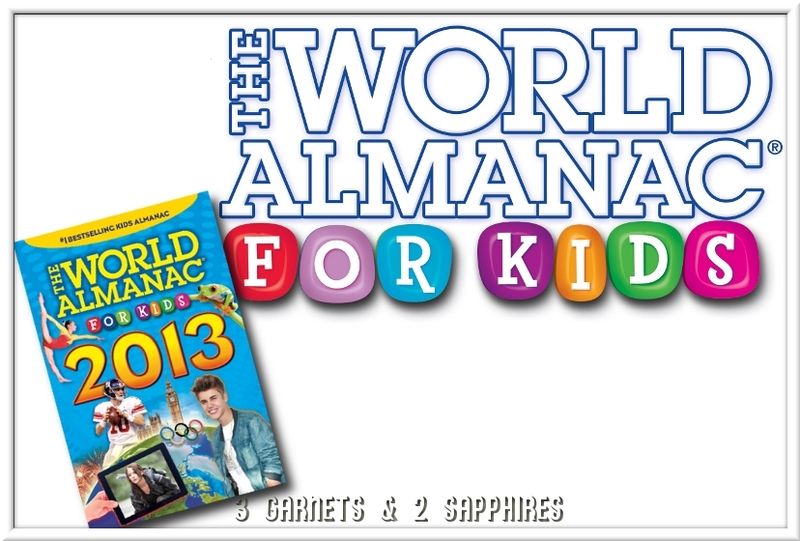 I would like to read The World Almanac for Kids 2014 next year. You can learn more about this book series at WorldAlmanac.com. Thank you to The World Almanac for providing a complimentary product sample for us to base this review upon and for providing a second product for our contest prize.